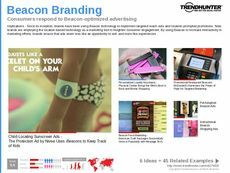 Find Better Ideas, Faster ® with a custom advertising trend report, our PRO Dashboard and 80+ categories of premium trend reports. 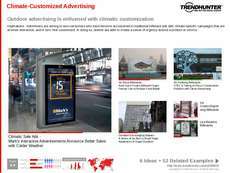 The Advertising Trend Report covers trends in advertising in the broadest sense. 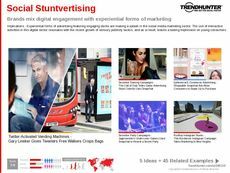 While other trend reports detail more specific areas of marketing, such as social media marketing, celebrity endorsement and influencer marketing, the Advertising Trend Report outlines the general patterns of consumer response to promotional initiatives. 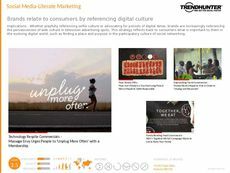 The report effectively summarizes our extensive crowdsourced research on advertising and PR industries. 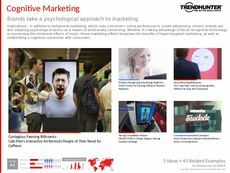 The Advertising Trend Report is an essential tool for professionals in the marketing industry seeking to keep up with the biggest and most creative movements and ideas in their industry. 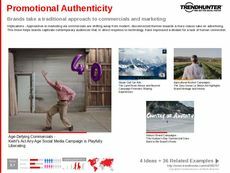 Whether specializing in social media outreach, print media or multichannel marketing, every industry professional will find the Advertising Trend Report's information of value. 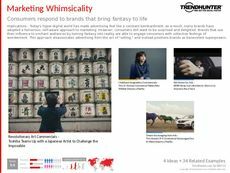 In the Advertising Trend Report, advertising experts will find the research they require -- expertly analyzed and summarized -- to stay on top of current developments in their industry.